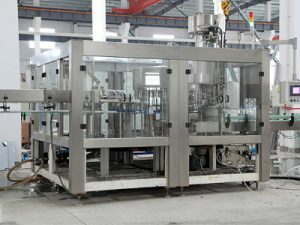 XGF Water Machine is designed and manufactured based on the latest technology from Germany and Italy, for the demand of technical requirement of beverage production, as pure water and mineral water.ASG is the first choice for many water plant in China.We can also customize the water filling machine for you to meet your various production requirements. 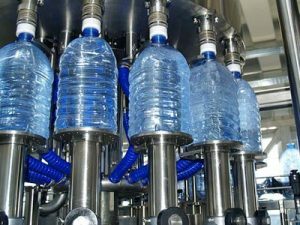 The water filling machine mono-bloc works as follows: Bottles are fed from conveyor chain into the filling machine mono-bloc via star wheel. Bottle clamp installed on the rotary wheel of the rinse will grip bottle mouth and make a 180° turn along a guide track to face the bottle mouth downward. In designated section of the rinse, rinsing water will jet out from special nozzles to flush bottle inside wall. 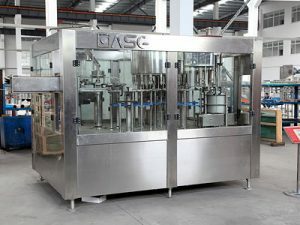 After rinsing and dripping, bottles gripped by bottle clamp will make another 180° turn along a guide track to resume bottle mouth facing up position. 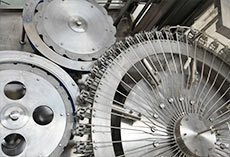 Clean bottles are discharged out of the rinse by a star wheel to feed the filler. 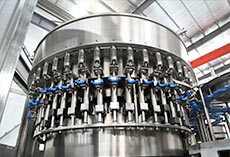 After entering the filler, bottles are retained by neck supporting carrier plates, which are actuated by bottle carrier mechanism to raise them to engage with filling valves. 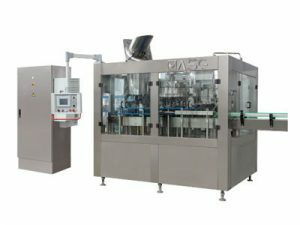 Filling valves are opened by bottle presence signals. 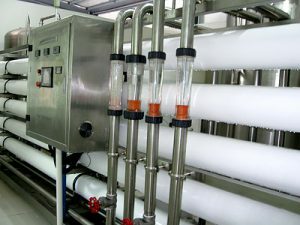 After finishing filling, valves are closed by valve closing mechanism to further stop venting to complete the filling process. 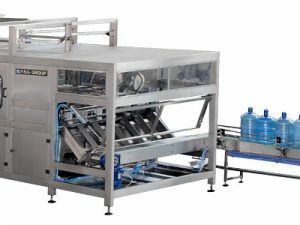 Bottle carrier mechanism is lowered by a cam to disengage filled bottles with filling valves. Then bottles are transferred into the capper by a neck handling star wheel. Anti-rotation blades on capping heads will seize the bottleneck to prevent it from rotation and hold it in a upright position. 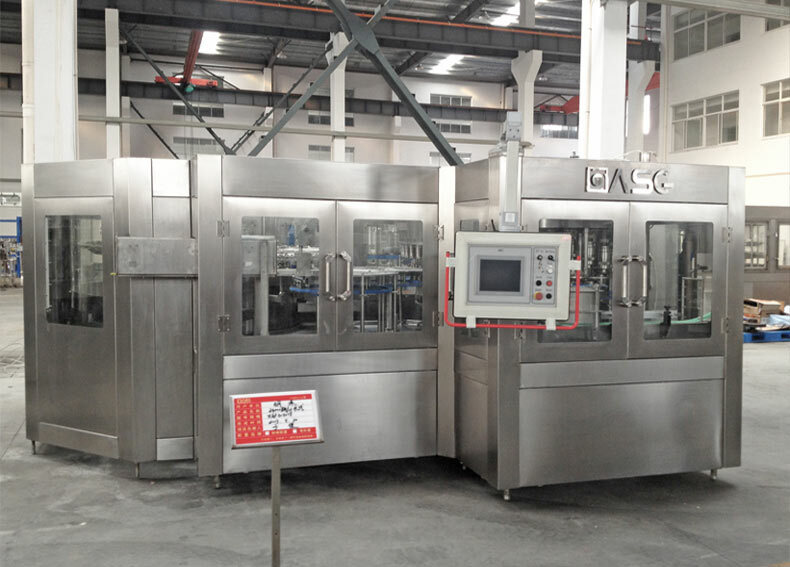 The twist-on capping head will make revolving and rotating movement along with the machine to finish the complete capping process of cap picking, placing, twisting, and disengaging under the control of a cam. 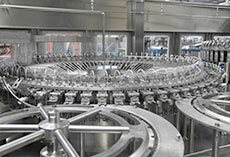 A discharge star wheel discharges finished bottles onto discharge conveyor belt to be conveyed out of the filling mono-bloc.